Samsung Pay Mini will only be available for those devices that have the latest OS version on them like Marshmallow and above for Android and iOS 8 and above for iPhones and iPads. 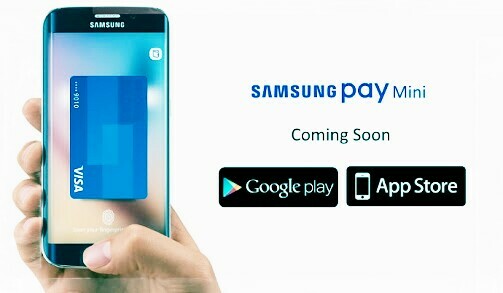 Samsung Pay Mini will be available in Google Play Store and Apple Store sometime next month. Samaung Pay Mini exclusively process online payments for credit and debit card transactions just like other mobile wallets out there and will compete with Android Pay. In Samsung Pay Mini users can store their credit/debit card information and the payment gateway will automatically process the transaction through authenticate themselves by a fingerprint scanning or a password.